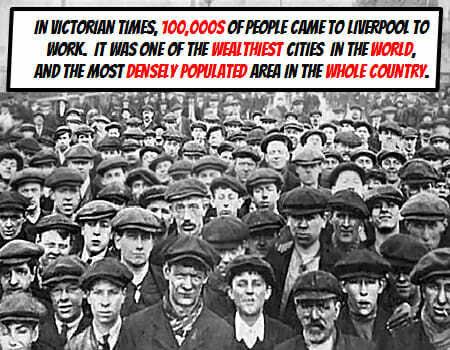 In Victorian times, 100,000s of people came to Liverpool to work, it was one of the most powerful and wealthiest cities in the world, and the most densely populated area in the country. 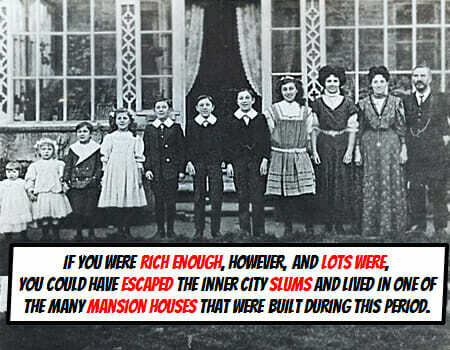 If you were rich enough however, and lots were, you could have escaped the inner city slums and lived in one of the many mansion houses that were built during this period. 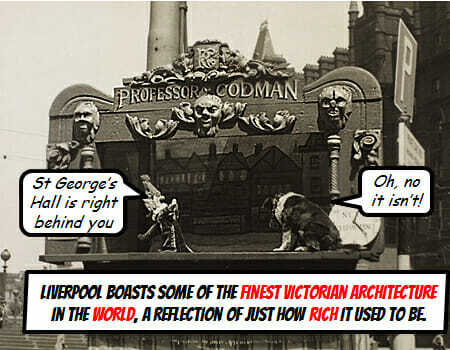 Liverpool boasts some of the finest Victorian architecture in the world, a reflection of just how rich it used to be. 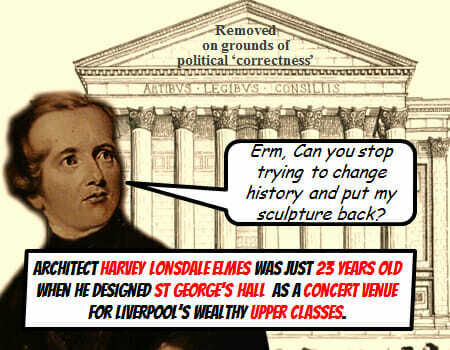 Architect Harvey Lonsdale Elmes was just 23 years old when he designed St George’s Hall as a concert hall for Liverpool’s wealthy upper classes. 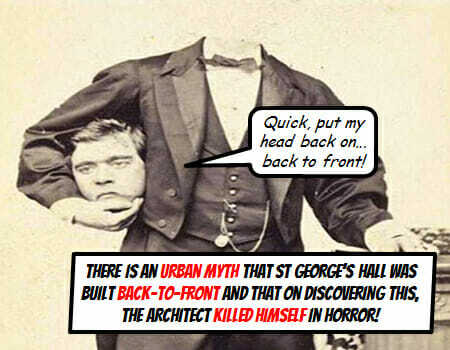 There is an urban myth that St George’s Hall was built back-to-front and that on discovering this, the architect killed himself in horror! This is not true. 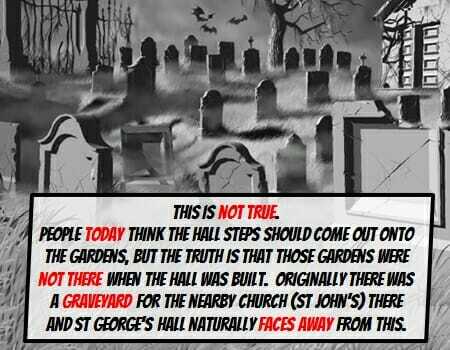 People today think the Hall steps should come out onto the gardens, but the truth is that those gardens were not there when the Hall was built. Originally there was a graveyard for the nearby church (St John’s) there and St George’s Hall naturally faces away from this. In 1858 people would have seen Charles Dickens give readings of his novels including a Christmas Carol at St George’s hall. Much of the novel was inspired by his many visits to Liverpool. 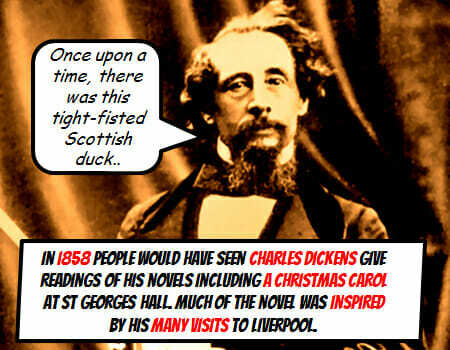 Charles Dickens used to walk around Liverpool a lot at night to get ideas for his novels. At one point he worked as an undercover policeman to enable him to get a closer look into the darker side of Liverpool Victorian Life. 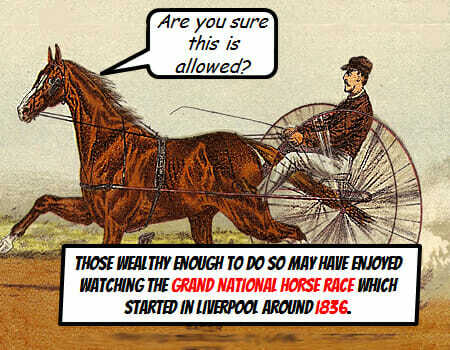 Those wealthy enough to do so may have enjoyed watching the Grand National horse race which started in Liverpool around 1836. 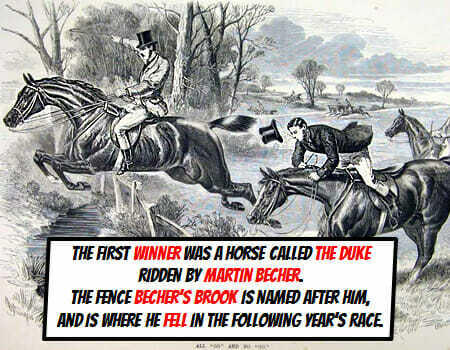 The first winner was a horse called The Duke ridden by Martin Becher. The fence Becher’s Brook is named after him and is where he fell in the next year’s race. The William Brown Street library opened in 1857, but at this time only about half the population could actually read! 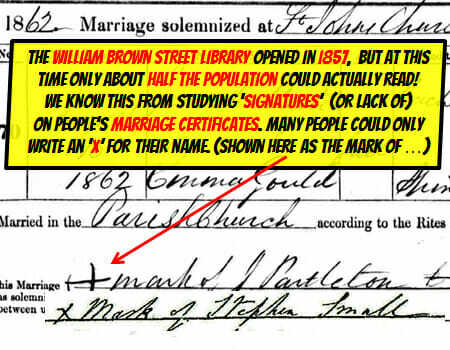 We know this from studying ‘signatures’ (or lack of) on people’s marriage certificates. Many people could only write an ‘X’ for their name. Many wealthy Victorians put a lot of their money back into the society around them and built huge parks, monuments and statues. 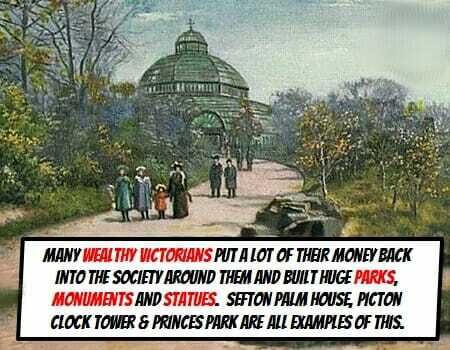 Sefton Palm House, Picton Clock Tower, Princes Park are examples of this. Outside of Westminster, London. 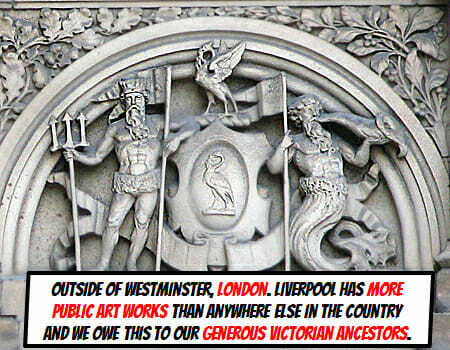 Liverpool has more public art works than anywhere else in the country and we owe this to the generous Victorians. 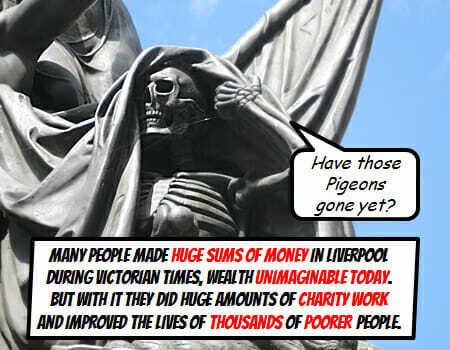 Many people made huge sums of money in Liverpool during Victorian times, wealth unimaginable today. With this money they did huge amounts of charity work and improved the lives of thousands of poorer people. 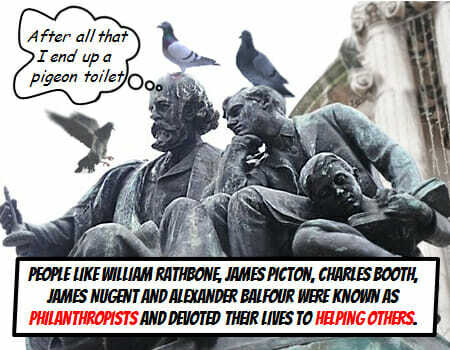 People like William Rathbone, James Picton, Charles Booth, Joseph Williamson and Alexander Balfour were known as philanthropists and gave lots of their fortunes away to the needy. Liverpool Victorian society. 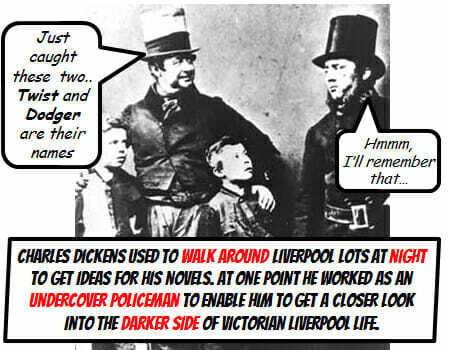 Victorian Liverpool History. For KS3 and GCSE History. Victorian Liverpool. St Georges Hall. Charles Dickens. Grand National History. Sefton Plan House. Wealth in Victorian Liverpool.